If you are a SFS member than you may get a catolog with a Rockin Dnace move code, which comes with 1 credit. BABV has changed! There is now a new quest where you can free the dragon. 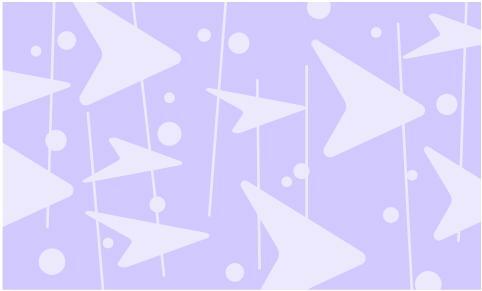 New stuff is at Pawlettes and Bear Stuff! These beary speical bears are currently at test stores! They are called Cele-bear-ation Pink and Cele-bear-ation Yellow bears. These are the brand new b-day bears and they are only at test stores. There is also a new quest out! Maxine Clark on the Chloe Show! Maxine Clark is offically on the chloe show to talk about her b-day. Watch the whole thing and get the maxine move! I want everyone to take a look at these ice cream bears. I'm not going to spoil the fun and tell when they will be release but I will say they are rumored to come out in the summer. 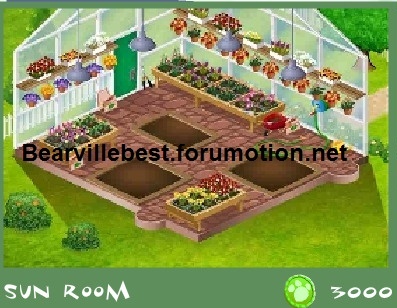 Visit Build-a-bearville to view the new bearville times. Read the whole thing and get a pawsome prize. Visit bearmey today to recieve some nachos. Now thru valentines day, BABW is giving away ahome away from home card. Everyone in BABV should have recieved a bearmail containing their coupon. Print the coupon out and take it to your local BABW to get your free gift. This only last now thru valentines day. Free Sound at Build-a-bear workshop! I have good news for anyone who will be going to build-a-bear workshop now thru valentines day. 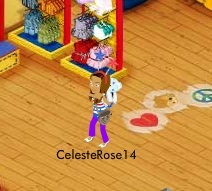 Now thru valentines day, visit your local Build-a-bear workshop store to get a free sound with a purchase of a bear. That's a $8 dollar value, for free! It does require a coupon. 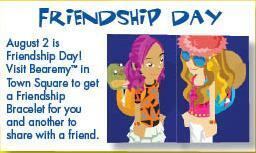 You can print out the coupon by visting build-a-bear workshop's website. Remember, this beary speical offer only lasts now thru Feburay 14. Now some of you may know but to those who dont, the new place is in the pawforming arts center. Go inside and click on the very left balcony and oce your inside click on a box to play a game and win 200 bb! Now I'm guessing most of you have already completed it but if you haven't here are some hints to find them!!! 1.I Wait here for you to PERFORM a trick to pick me up and wear me on STAGE inside. 2.I'm inside looking for clothes to go with me! I am a green bow! What goes with green do you know? 3. You woudn't leave me here because of construction! Hurry people are dropping paint and wallpaper when they leave! ITS RUINING MY PINKNESS. 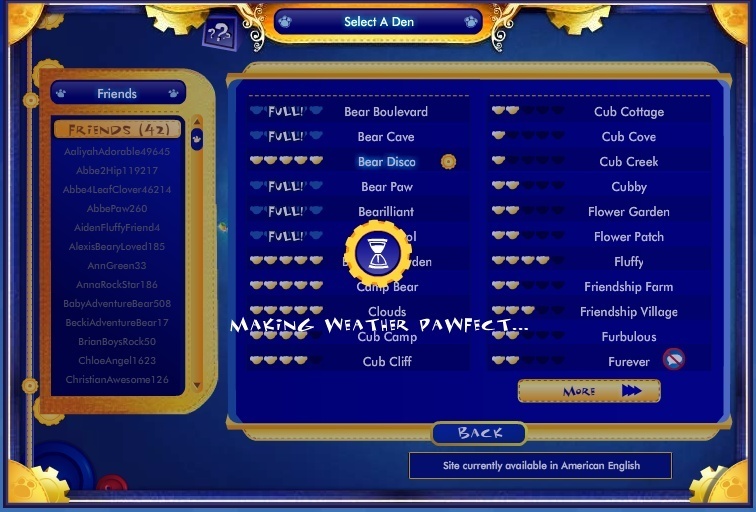 There is a new bearville times. 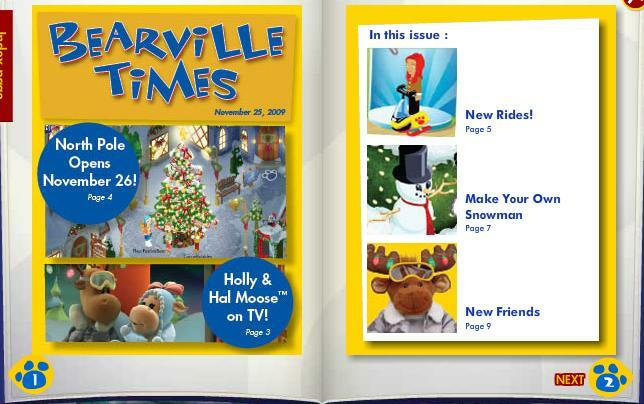 There is a new bearville times out that talks about everything including frosty the snowman in BABV! Now in BABV you can now walk around in the inside of the train! Great way for x-mas travel! Did you know that the cost to be a VIB has been dropped. Great for x-mas gifts! If you visit Bearemy today in Town Square, you will receive this cool move! New stuff in the bear stuff store. Hey guys, as many of you probably know, BABV is down right now. They are working on a game hint hint! So, if your still on babv, please get off. The CyBearGuides had said if you do not get off, then you might lose some of your items! New stuff in BVO, Bear stuff store, pawlettes, and stuff fur all seasons. Visit Town Square to take the Safety Pledge and Invite your friends on babv to take it to meet the goal to fill the meter. 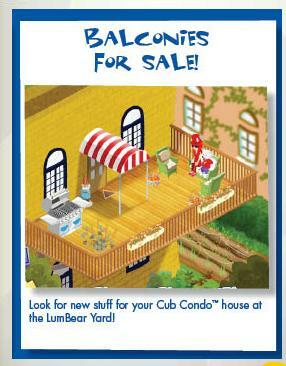 Now you can buy a balcony for your cub condo! 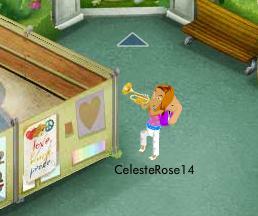 Get a Trumpet Move when you ride the ferris wheel at the carnival. Get A New Do For Back To School! 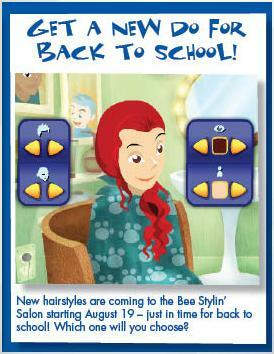 Visit The Bee Stylin' Salon Today! Wanna go back to school with an awesome haircut? Well look no further! 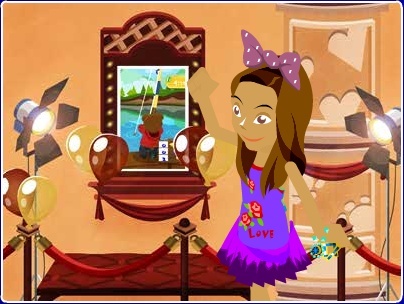 On August 19, there will be new haircuts at The Bee Stylin' Salon! There will be even better hairstyles for you! Which one will you choose? Build-A-Bearville has decided to push their scheduled maintenance back one day, to the early morning of August 20th. Expect some downtime on the site but some cool features that will arrive after! 3. You can now go Deep Sea Fishing in a secret part of town - and more! Don't forget that on August 2nd you need to talk to Bearemy so you can get a friendship bracelet for you and another one for a friend. 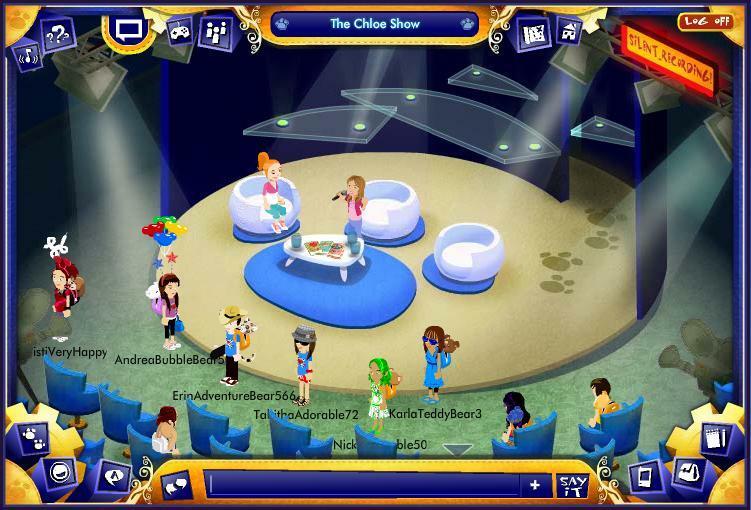 Meet Itzel on The Chloe Show! Don't forget to watch The Chloe Show where Itzel will appear with a move just for you! Unfortunatley, the move she gives you is not working at the moment. Just be patient the people at BAB will fix it ASAP! The move works now! I just tried it and it works! Watch The Chloe Show July 31 - August 13!!! What are you waiting for? 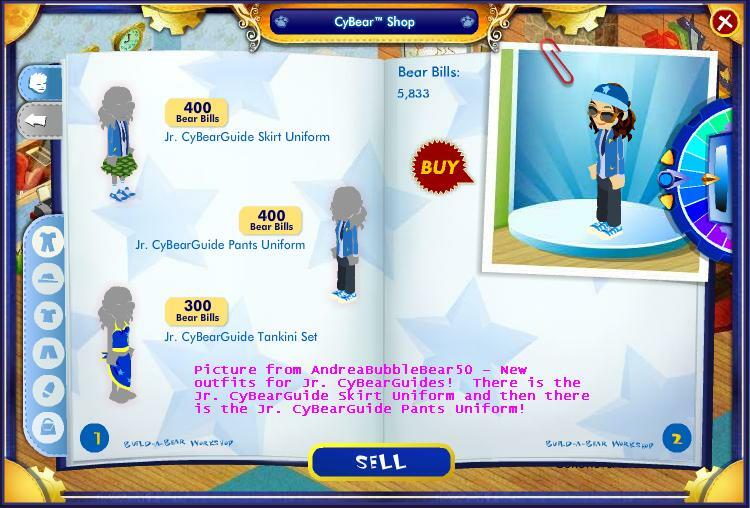 They got new outfits for the Jr. CyBearGuides! 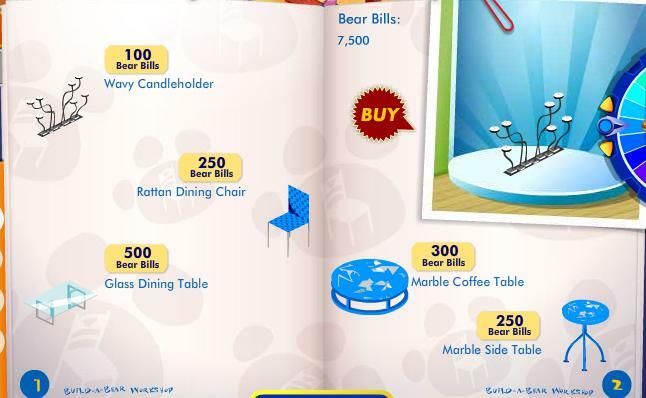 They have 3 old party rooms you can buy for 5,000 bear bills! Did you see the new lighthouse on the map? Well it's another secret place on BABV! Wanna know how to get there? Jeez there are a lot of news I posted. Right? BABV replaced the old dance move (I don't remember what it was like) with a cool one! The new one, you kick your legs out and you bend your arms :3 Go try it out!!!! Now, instead of waiting for someone to join a game with you, you can just click on "Random"
Invite a friend to play a game with you! Do not forget to get on tomorrow!! You get the clapping move!